Today marks the half-way point in my year-long Bracelet a Week challenge. I’ve got to say that it feels like a lot more than twenty six bracelets have gone by. But at the same time, I can’t believe it’s half over already. I do have some design repeats planned for the next few months, but I still have a long list of original pieces to experiment with as well. This week’s bracelet is something new, and was inspired by my tribal fringe necklace. I really liked the look of the bead loops from the fringe as they wrapped around the twisted herringbone rope, and I wanted to see how it would look in a bracelet size. I decided to go with a plain herringbone tube, instead of twisted. When you combine Fireline with really tight stitches, twisted herringbone doesn’t offer a lot of give in small lengths, and I wanted to make sure that this bracelet had a nice shape. To get a gentle curve, I used two different bead finishes, with three rows of lined beads snuggled together to form the backbone of the bracelet. It took awhile to decide on a palette and pattern for the looped embellishments. I was going to use bright orange, but I decided to stick with subtle colors instead. I like how everything turned out, especially the picot and druk caps at the ends of the rope. Now to plan the first bracelet for the last half of the journey! Beautiful!!!!!!!!! The design and color are just wonderful. I love those greens! Nice work on the finishing of the tube, too. I have a nice length of herringbone that I want to use either as a bracelet or the focal section of a choker but haven't decided how to finish and connect it neatly yet. I haven't liked how it looks with bead caps - I'll have to experiment with nestling some beads in at the ends. I am really loving this bracelet! I wear more beaded bracelets than I do necklaces, and this one is very much my style. Great job and I love the colors you chose....clasp is perfect finishing touch! That is a stunning bracelet so sweet and elegant! I love the clasp too! I love it and those colors are awesome! I love this SO much! Went to ArtFire and looked at all your pictures. So so pretty. I like the understated elegance of it! 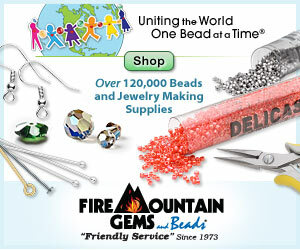 When you say you used 2 diff bead finishes and 3 rows of beads, does that mean the tube is only 3 beads wide (or round)? I'm not sounding too articulate here so I hope you understand what I'm trying to ask!!! Thanks, Mortira. And Happy Canada Day yesterday! Thanks everyone! I'm hoping to make a few variations on this style, once my new Fireline makes it through the mail backlog. The herringbone tube is 8 beads wide, with 5 dark olive, and 3 yellow lined at the 'back'. I find it helps give the rope a more bangle-like shape. Mortira, I can't remember if I've posted a comment on your blog before, but I just want to say I'm a real fan and have been a regular reader for over a year. In fact, I gave you a shout-out on my blog for your wonderful tutorials. You have truly lived up to your blog's name! Thank you so much! I'm off to check it out right now. Wow Mortira, this is stunning! Do you perhaps have a tutorial for this bracelet, or something similar...would love to know how to add that beaded black and yellow detail, as well as the clasp.